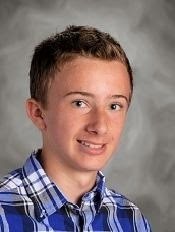 The Windham Eagle athlete of the week is Connor Abbotoni, an eighth-grader at Windham Middle School. Son of Todd and Krista Abbotoni, he enjoys soccer and track. “Connor's work ethic has translated to his success in his races. He's always seeking ways to improve. He shows integrity and dedication on and off the playing surfaces,” said coach Philip Jackson.